The Sinclair Case Neck Sorting Tool is designed for the reloader to quickly sort brass by neck wall thickness. Large variances in neck wall thickness can affect the consistency of how the case seals the chamber and is also an indication of variances in body wall thickness. Cases are rotated under an indicator tip while they are supported on a case neck pilot and a support pin through the flash hole. The low profile and stable platform makes for comfortable use and accurate results. 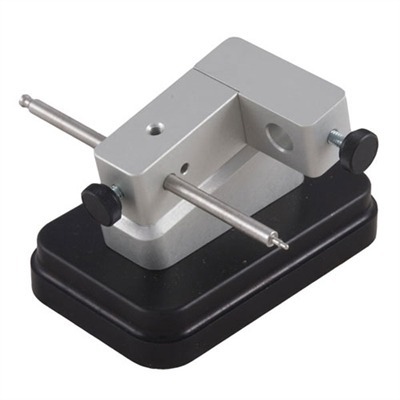 The tool works for 22 thru 45 caliber cases and can be used on 17 and 20 caliber cases with the optional carbide alignment rod. Tool can be ordered with or without a dial indicator. Order 17 Caliber and 20 Caliber Sinclair Case Neck Pilots separately. MIC-4 pin fits .060 & .080 flash holes. Available pilot stops.